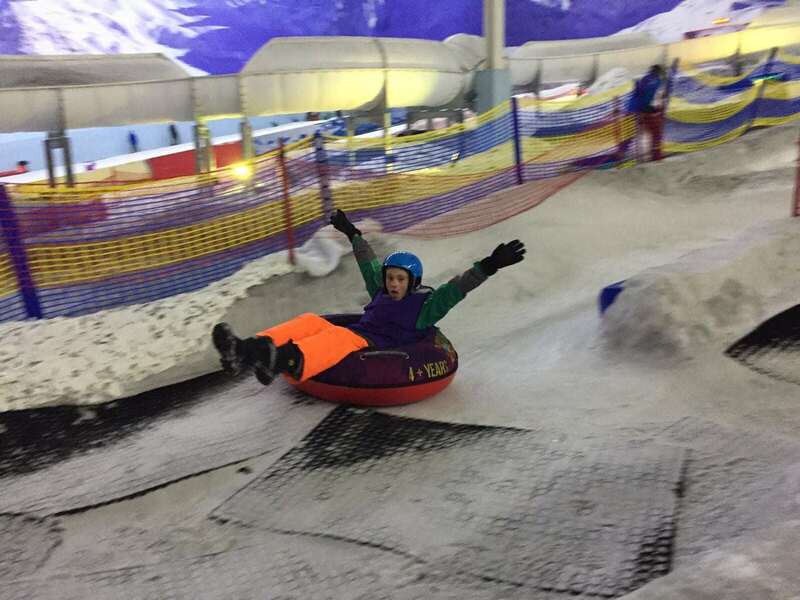 We were invited to try out the new Altitude activity at the Manchester Chill Factore’s snow park this half term. 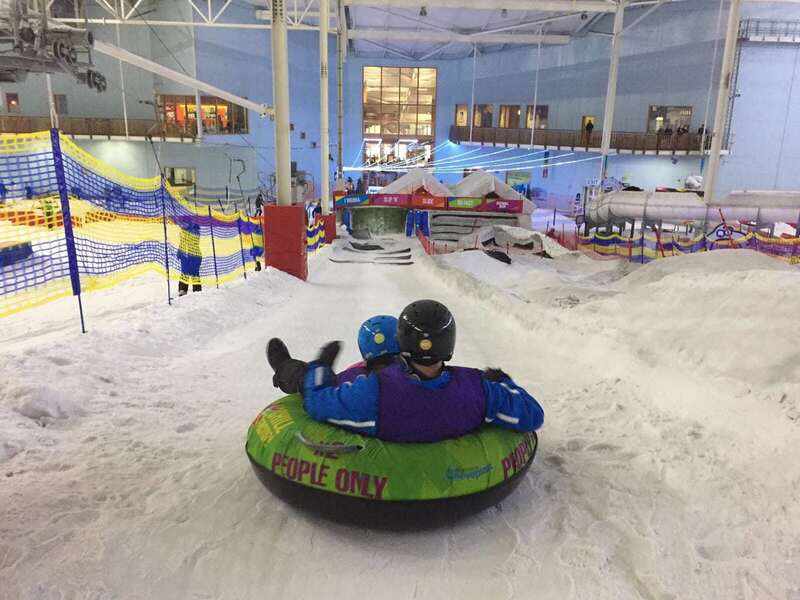 The snow park is next to the giant indoor ski slope at the Chill Factore and is made up of 3 different ‘zones’ – a tubing course, a giant ice luge and a sledging park. Previously, you could go along and go on whichever of the zones you fancied, in whichever order, for your hour slot. The snow park has now been re-launched as a contest, where you work in a team to clock up as many points as possible across the three zones. You get ten minutes on each zone, and earn points by going up and down as many times as you can in that time. These points are then converted into Mountain Metres to help your group scale the UK’s, Europe’s and the World’s highest mountain peaks, the ultimate aim being to cover enough metres to reach the top of Everest. The quicker you slide, the higher you climb! I’d taken two of my children to the snow park a few years ago and we’d had a great time, although I did remember we’d got pretty cold. With this in mind, we layered up, donned our ski gear, thick socks and gloves and off we went. It felt strange to be entering the building in our shorts and tshirts, leaving the sun behind and putting on ski clothing. At 5.30pm, we met our host, Vanessa. She was absolutely lovely and very enthusiastic. She explained the rules and got us kitted out with waterproof trousers, snow boots and helmets. 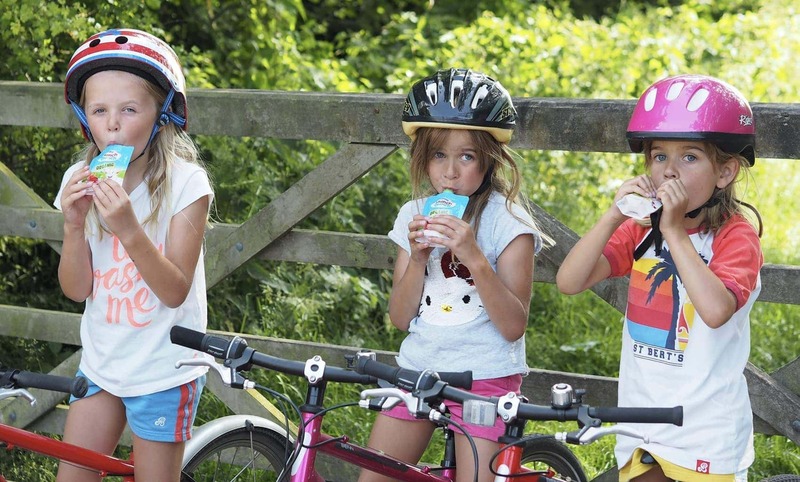 Boots and helmets are included in the price but there’s an extra charge to hire trousers and jackets. You can also buy gloves for £5 if you don’t have your own. We were very lucky to be the only people in the snow park for our slot – clearly everyone else was in the garden! The first activity is the tubing course. You take an inflatable donut, drag it onto a travellator and are carried up the slope to the top of the course. There are two runs to choose from – one slope that goes straight down and the other is a meandering mogul slope – and you can go in twos or on your own. Vanessa stood at the top of the slopes counting how many runs we did, helping us into the rings, pushing us off and making sure we didn’t go down until the last person had cleared out of the way. We loved the competition element of it and the kids were keen to get enough metres to get us onto the Altitude leaderboard. 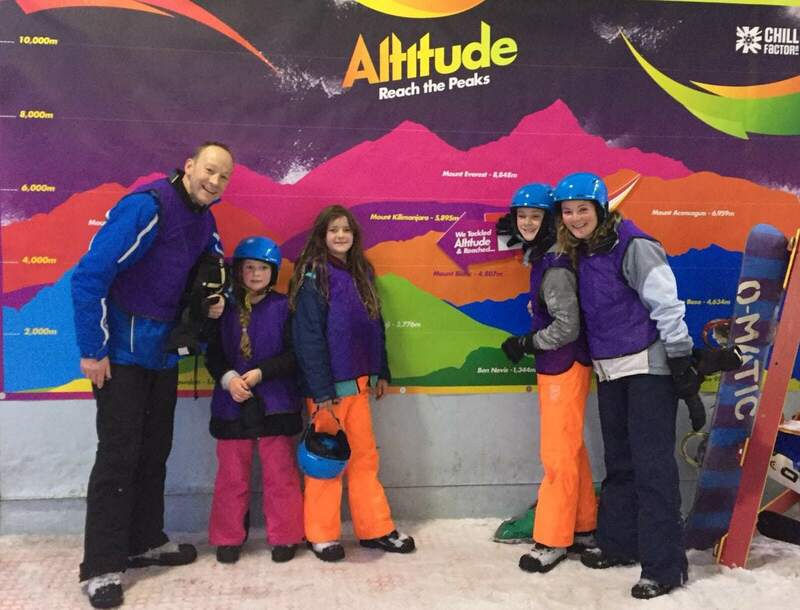 The slopes were great fun and we all ran up the travellator between each run to get as many metres as possible. After ten minutes, we were all out of breath and a bit pink in the face and some of us even shed a couple of layers – there was no way we’d be getting cold this time! Vanessa took us to a big board at the bottom of the slopes which had all the world’s highest mountains shaded on it, with their heights in metres and we had to guess where we thought we’d got to. We were a bit disappointed to find we’d only managed the equivalent of Ben Nevis but we were spurred on to try harder on the luge. The luge track looks like a big water slide. 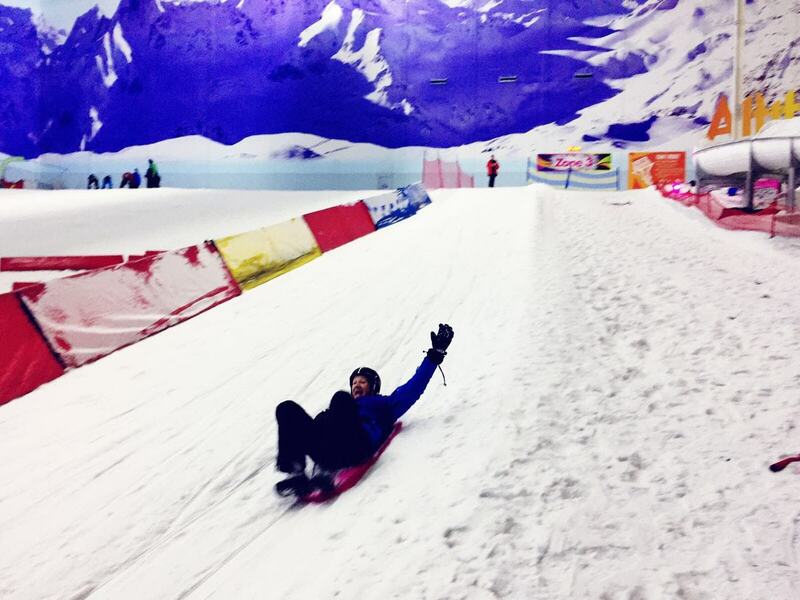 You lie down on your back on what looks like a thin body board with handles and then fly down the ice track. 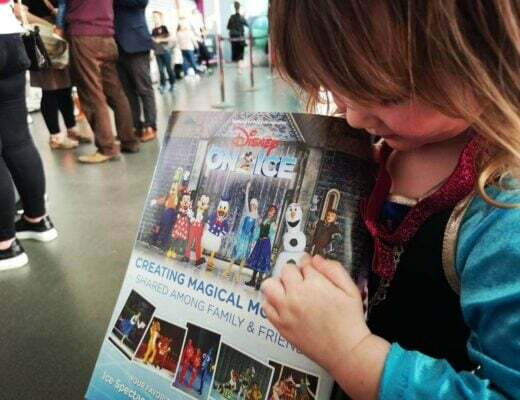 Rosie, our 7 year old, was a bit nervous at first and wasn’t sure she wanted to go on as it’s pretty fast, but when she plucked up the courage she absolutely loved it – we could hear her squealing all the way down! 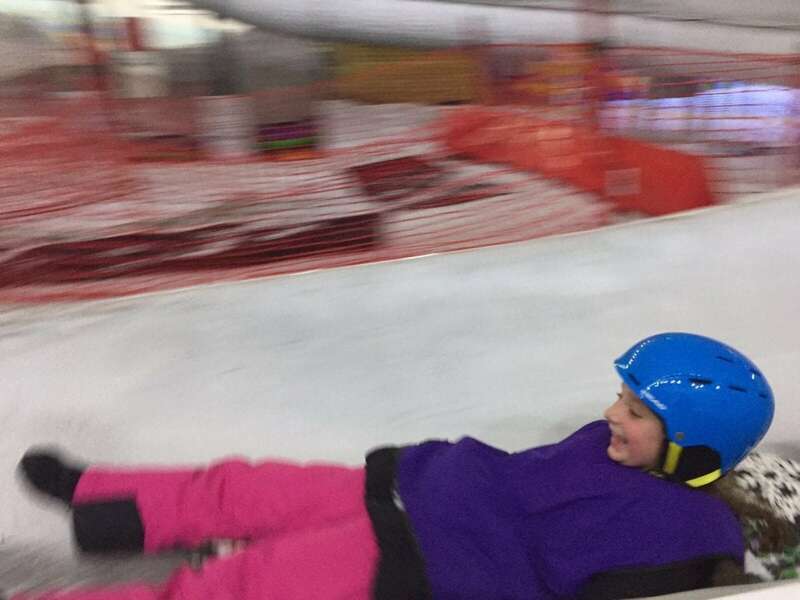 We got even more out of puff on the luge as we had to run up the snowy slope between runs – no travellator this time! After our ten minutes was up, we crowded round the mountain board again and there was rejoicing when we found that we were now at the top of Mount Fuji. Aiming for Kilimanjaro, we grabbed our sledges and headed to the sledge track. There were three different types of sledges with varying speeds and ease. Ed chose the hardest sledge and we enjoyed watching him whizzing down the track utterly out of control and then covering himself with snow and ice at the bottom when he tried to stop with his feet! He used the medium one after that… You are allowed to sledge down next to one other person, which was a little hair raising as none of us really mastered the steering thing at any point. We’re we’re all exhausted after ten minutes of running up the snow slope and flying down in a zigzag to end up in a heap at the bottom. We popped our sledges back on the pile and headed to the mountain board to see if we’d made history. Vanessa created some suspense with a drum roll and we were all pretty pleased when she revealed that we’d managed to scale Mont Blanc, only a few hundred metres short of Kilimanjaro! We held an arrow to the board to mark our achievement and Vanessa took a photo for us. We all agreed that Altitude is absolutely brilliant fun and we’d love to go back (after a period of training) to see if we can beat our first attempt. 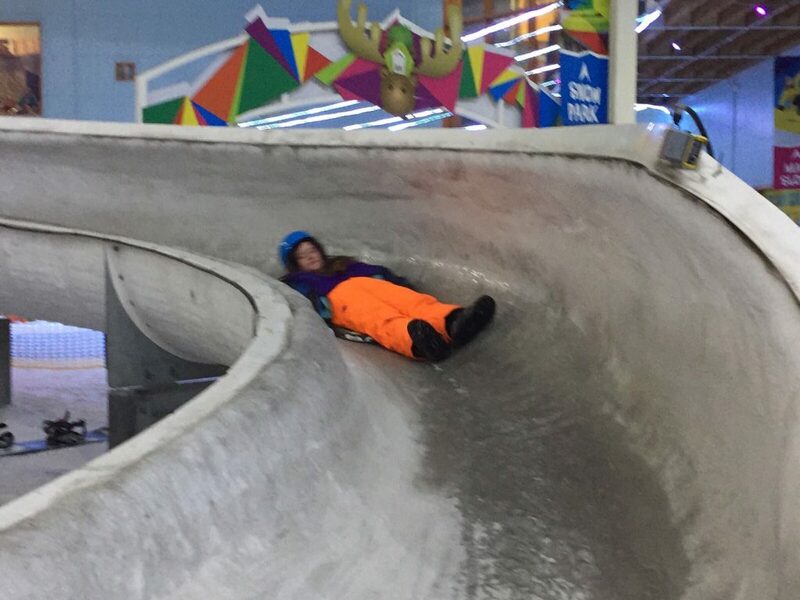 Altitude is for children of 4 and above but children under 6 aren’t allowed on the luge. I’d say an adventurous 4 year old would enjoy it, and those a little more cautious can always tube or sledge with a parent or sibling. 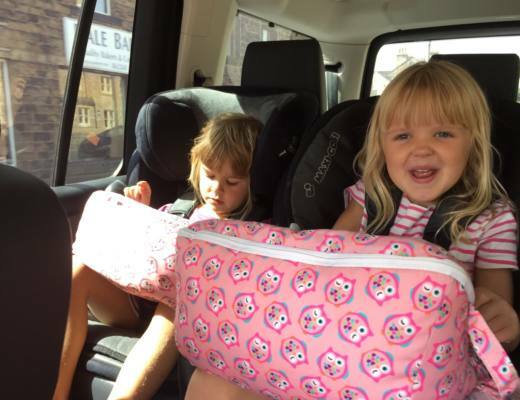 It was perfect for our kids who are 7, 10 and 11 and we loved it! 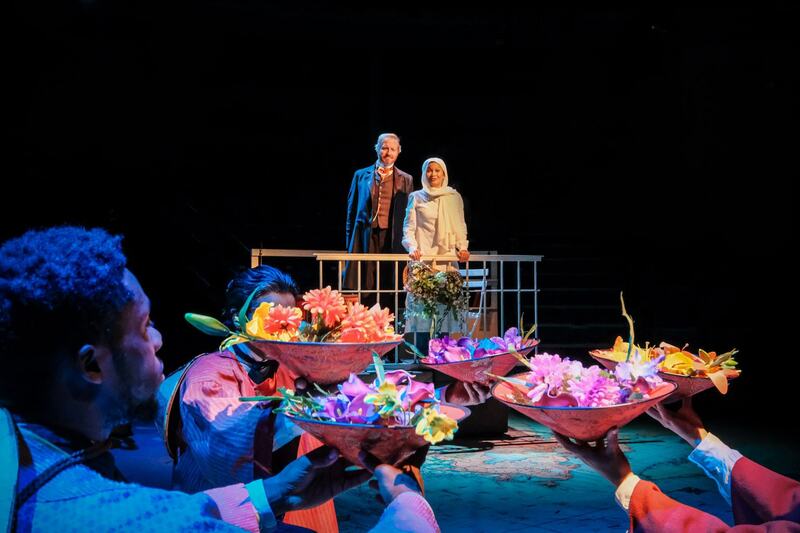 Jane and her family were offered tickets to Altitude to review it all views and opinions are her own. Oh wow, that’s sounds so exciting!! Altitude activities look so fun!